The night service initiative was started from the Gurugram dealership. Night service is currently available in Arena workshops only. Operational in five cities as of now. No change in service cost. Pickup and drop service provided. No charge for loaner car. Maruti Suzuki has announced an industry-first initiative in the form of night service. 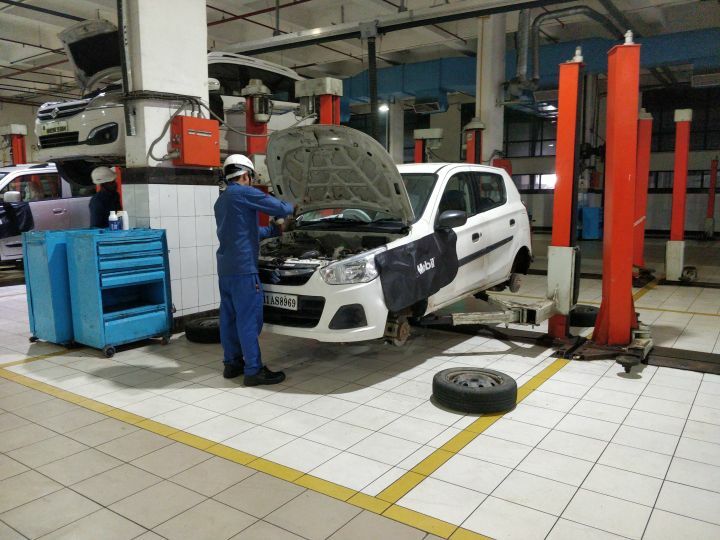 Yes, it is exactly as it sounds, you can now give your Maruti car for service in the night. Maruti intends to improve the ownership experience and intends to take the hassle out of giving your car for service, especially as servicing usually translates to not having your car for an entire day. The idea is to make it to let customers always have their Maruti cars available during the day when it is required most. The night service initiative was started at the Gurugram workshop last year as a pilot program to test out the viability of the night service program. It has since grown to five more cities around the country, namely Noida, Bhubaneshwar, Bengaluru, Sahibabad and Mangalore. The company is looking to expand this initiative to other cities, but will be looking at IT hubs and cities where the night shift population is rather high. And it is not only aimed towards professionals, but at fleet owners as well for whom giving the car for service usually results in losing at least a half a day’s business. According to Maruti, the response for the night service program is quite good and the company is looking forward to expanding to other cities around the country. But the expansion will be based on demand.